If you are looking to create a warm and cozy atmopshere in your bedroom, adding a beautiful upholstered chair to your home décor is a perfect option. Not only will the piece enable you to curl up in it embrace and relax on a cold rainy day, it also has the power to make a strong statement in your interior. Have a look at a lovely set of upholstered chairs to turn your bedroom into a peaceful realm. 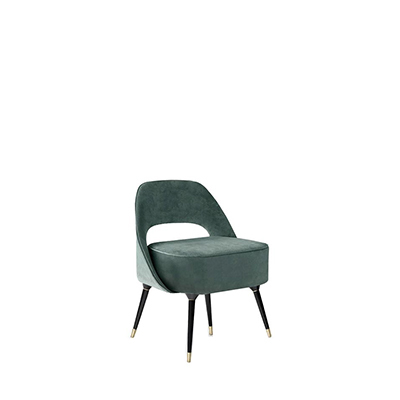 IBIS armchair by BRABBU is inspired by the shape of the beautiful bird. 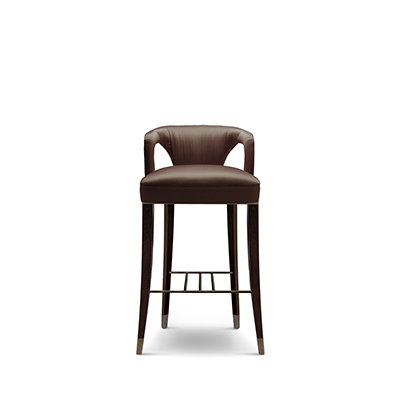 and notably by its long slim legs that contribute so well to its natural elegance. The refinement of its velvet and its soft color are a perfect addition to a modern bedroom set to create the coziest atmosphere. A beautiful upholstered chair featuring a warm color is the key to bring warmth and comfort to the atmosphere. The lovely piece will let the sun enter your dreams to create a peaceful yet joyful realm. INCA armchair by BRABBU is inspired by the legends of the Inca Empire. The mid-century modern piece reminds us of the sculpted mountains of the landscapes of Peru. A real breath of fresh air in your bedroom set. This highly comfortable piece of furniture is the perfect way to bring the peaceful beauty of nature into your bedroom interior. The chair is an instant eye-catcher in the room, thanks to its minimalist yet gorgeous design. 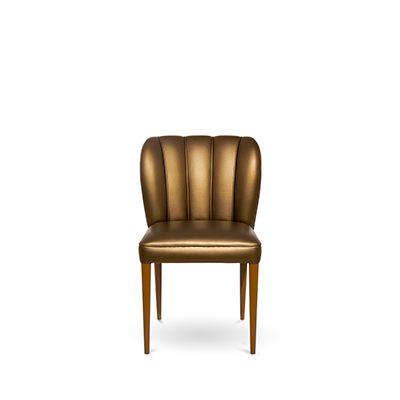 Reeves Chair by Essential Home is a unique piece full of audacity that combines eccentricity with its impressive tubular brass structure, and comfort with its beautiful leather cushions. The piece fits perfectly in a moder interior featuring grey tones. 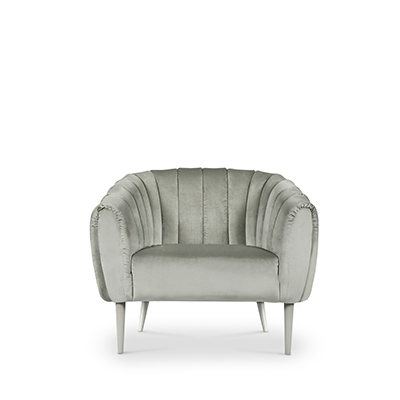 TELLUS armchair by BRABBU is inspired by the Earth goddess of the Roman Mythology. The combination of the light colour along with the wooden legs truly embodies nature´s marvels to create the coziest atmosphere.